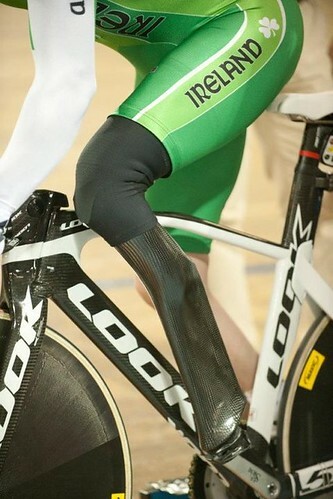 This photo from Paralympic Cycling World Championships, Feb 2012 in LA. The UCI officials actually had to check the carbon fibre prosthetic leg to make sure it did not violate the 3:1 aspect ratio rule. Some of these athletes are just unreal; there was a British guy (Jody Cundy) with no legs below the knee who went 1:06 for the Kilo!